I couldn't resist and added the last two rounds to the Umzumbe square by looking at the photos. I wasn't sure about the colorway before, but now I love it. 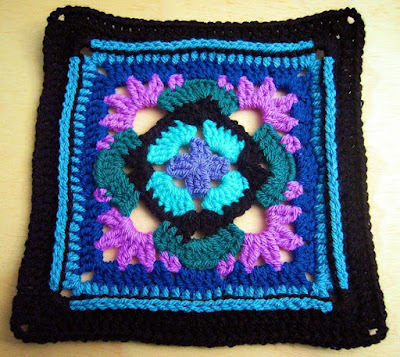 The Umzumbe square is the first square of the new CAL Zooty Owl is hosting on her blog: the Seaside Winter Blanket CAL.